SAN DIEGO -- Hospitals are taking the problem of gastrointestinal endoscope reprocessing seriously, reports here at Digestive Disease Week suggested, to the point of spending hundreds of thousands of dollars in order to meet recent FDA guidelines. Reports last year that dozens of patients had been sickened -- some fatally -- by multidrug-resistant infections they acquired from incompletely sterilized duodenoscopes and other endoscopy instruments have prompted an industry-wide effort to do a better job of cleaning the equipment after use. In August, after it was revealed that the manufacturers had received numerous reports of carbapenem-resistant enterobacterial (CRE) infections over a multiyear period without doing anything about them, the agency issued new guidelines that called on endoscopy centers to rigorously follow manufacturers' instructions for reprocessing and to perform "microbiological culturing on a regular basis" to check on the devices' sterility after cleaning. "Every center that does endoscopy is looking at the quality of their reprocessing and putting in a surveillance program," said John Vargo, MD, MPH, of the Cleveland Clinic, at a DDW press briefing. However, as gastroenterology fellow Ji Young Bang, MD, of Indiana University in Indianapolis, told MedPage Today, the guidelines did not specify how often the culturing should be performed and on what percentage of scopes at any given time. As a result, centers have had to decide for themselves how to follow the letter and spirit of the guidelines without going broke. In many cases, endoscopists are going beyond the manufacturers' recommended reprocessing steps to add their own extra procedures. At Maine Medical Center in Portland, for example, the hospital's Pancreaticobiliary Center has been applying an alcohol "flush and flex" protocol prior to each use -- this in addition to the standard post-use processing. 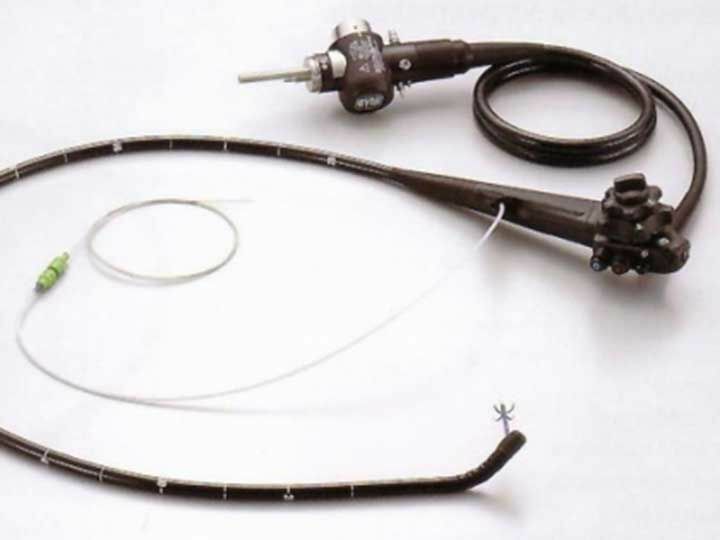 At DDW, Matthew Warndorf, MD, and colleagues reported that they had experienced no endoscope-associated infections after instituting the protocol in mid-2015, during which nearly 1,800 endoscopies involving elevator-equipped instruments were performed. Bang's center simply doubled up on the manufacturers' instructions, performing the entire process twice for every instrument after use. But at both centers, and others that reported culture findings here, none of the beefed-up protocols was 100% effective at sterilizing all scopes every time. Bang, for example, said that 592 culture studies performed on 62 different scopes revealed 59 instances of residual contamination. Although 54 of these were benign organisms, that still left five with pathogenic organisms identified, including three involving enterococci. All of these were found from swabs of the elevator mechanism, a moving part at the endoscope tip that allows the operator to change the working angle of some accessory that appears to be the crux of the contamination problem. "The design of the scopes make it difficult to clean them," said Grace Elta, MD, DDW council chair and a gastroenterologist at the University of Michigan. An FDA advisory panel last year agreed that the current generation of duodenoscopes are all unsafe, but also irreplaceable and therefore must continue to be used. The panel's recommendations on more rigorous adherence to sterilization procedures were largely reflected in the August guidance. Manufacturers' instructions generally call for the endoscope and elevator to be scrubbed with a special brush before liquid and/or gaseous sterilizers are applied. But the elevator mechanism is hinged and has other tiny crevices that appear capable of defeating all mechanical and chemical cleaners. However, said Elta, "historically the endoscope infections have related to human error. ... What most centers are doing is doing their best to eliminate that human error." Bang said that, because the culturing procedure means that a scope must be removed from service until it is certified contaminant-free, her center had to buy 40 new scopes in order to maintain procedure volume, at approximately $10,000 apiece. Douglas Faigel, MD, and colleagues at the Mayo Clinic in Scottsdale, Ariz., reported that they had to buy five new scopes with a list price of $223,000, and three of the unit's instruments ended up with "critical damage" from ethylene oxide gas sterilization. Meanwhile, University of Pennsylvania researchers reported that the direct costs of the culturing program amounted to a little more than $21,000 per year, although that was just for 19 duodenoscopes, each of which was cultured monthly. They did not say anything about new equipment. As for more definitive solutions, everyone asked by MedPage Today said the scope designs need to be made simpler and crevice-free. Vargo said he thought that scopes that need elevator mechanisms would eventually come with "a detachable tip that will allow cleaning." Other approaches might include removable sheaths that keep bacteria from lodging in the scope tip in the first place. An affordable single-use device would be another possibility. Manufacturers haven't publicly reported any such developments yet, Vargo said, but "I suspect in the next couple years we will see some."